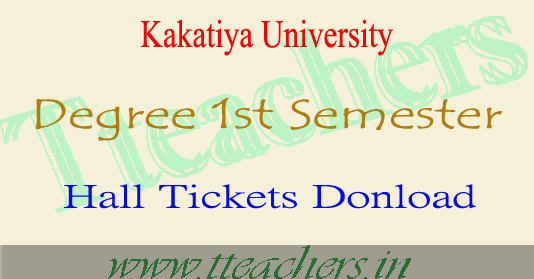 Kakatiya University degree 1st semester hall tickets 2016 download 1st year exams : Kakatiya University KU degree 1st semester hall tickets 2016 can be download from Kakatiya University (KU) website www.kakatiya.ac.in. Kakatiya University degree 1st year 1st sem examinations starts from 6th December 2016. Kakatiya University Students of Under Graduate of Ist year B.A., B.Sc., B.Com and B.B.A. can check annual exam admit cards through official Kakatiya University web portal. 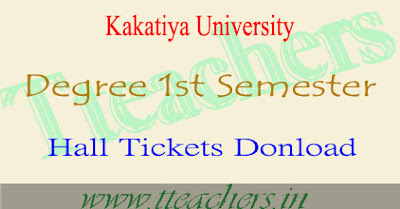 Degree 1st year students who are pursuing degree can also check their KU 1st semester time table and Kakatiya University 1st year 1st sem hall tickets 2016 from university Official Website. Examination : Kakatiya University Degree 1st semester regular examination 2016. Exams starts from : 6th December 2016. Category : KU degree 1st sem hall tickets 2016. Go to Log on website portal www.kakatiya.ac.in.